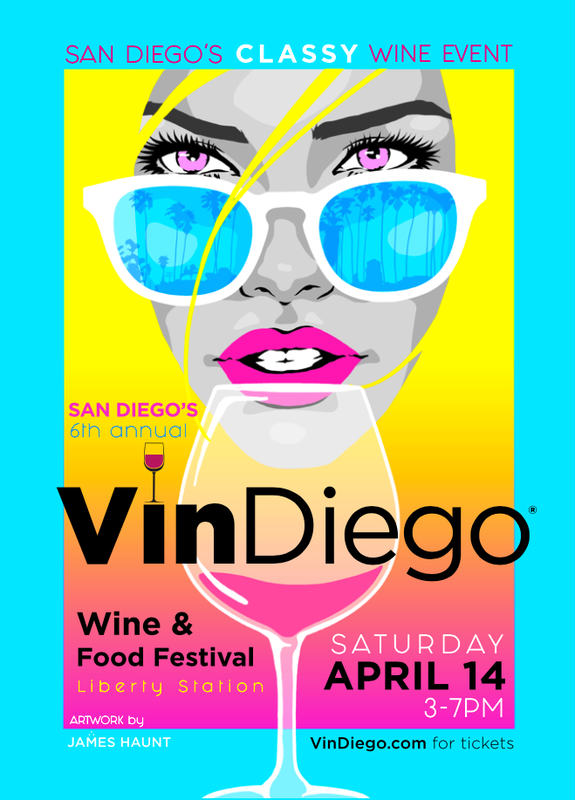 San Diego, America's finest city, will once again become the epicenter of the California wine world on Saturday, April 14th, 2018. That's when one of the largest wine events of the California, Oregon and Washington's ultra-elite winemaking masters will assemble, for the sixth annual "VinDiego Wine and Food Festival" presented at the NTC Liberty Station in beautiful Point Loma. The Sixth Annual VinDiego Wine and Food Festival is a Wine and Food Lovers dream come true! Over 50 Top Tier Wineries and 25 of San Diego’s very best Chefs come together to create San Diego’s Premier Wine and Food Experience! Come sip, sniff, swirl and taste over 300 amazing wines. Award winning Wineries will be pouring their world-class wines from Napa, Sonoma, Paso Robles, Santa Barbara, Lodi, Oregon, Santa Lucia Highlands, Temecula and San Diego. Top chefs will be serving delicious food samples for you to enjoy. The ever-popular VinDiego Silent Auction takes place during the event. All proceeds of the silent auction will benefit our partner non profit "The San Diego Italian Film Festival". The VinDiego Grand Tasting Early Entry allows the ticket holder to enter 1 hour early at 3:00PM before the general public. Ticket includes wine tastings, food samples, entertainment, a flameable color poster and your own souvenir crystal wine glass. Early Entry tickets are limited to only 350; these Early Entry tickets are very popular and sell out FAST! Gates open at 4:00PM for General Admission. Only 2,000 tickets are available to this high demand event, We Will Sell Out! Ticket includes wine tasting, food samples, entertainment and your own souvenir crystal wine glass.